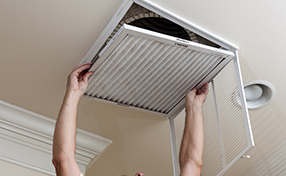 The best tips for air duct cleaning! Follow the advice of experts and do the job right to enjoy a healthy home. Learn the secrets of good air duct cleaning, how to clean filters well and the importance of these procedures to your pocket. The vacuum cleaner will be the most useful tool for air duct cleaning. Use a screwdriver to open the vent covers and check the condition of the ducts using a flashlight. Use the vacuum for the collection of most dirt and wipe the ducts clean with a wet sponge. 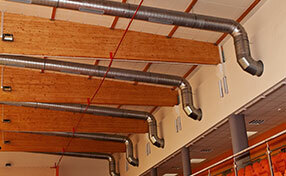 This is the best way for diy air duct maintenance according to Air Duct Cleaning Northridge. The most usual reason for energy loss is the absence of insulation and that's why air duct coating repair is very important. According to Air Duct Cleaning Northridge high concentration of dirt in the ducts will obstruct the proper circulation of air. That's why air duct maintenance is essential and you always need to look out for possible cracks on their surface and seal them. 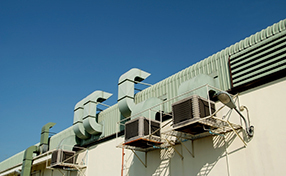 Most HVAC manufacturers place filters at points where they can be reached easily making air filter cleaning easy. Experts from Air Duct Cleaning Northridge recommend removing them often and wash them properly under the running water but you need to let them dry well before you place them back. You will have the chance to search for damages and, in this case, air filter replacement is definitely required. Oftentimes people forget to inspect their air ducts and this can cause all sorts of problems to arise. The moisture from air ducts is often an ideal area for mold to fester which is why it is important to inspect your air duct at least once a month.